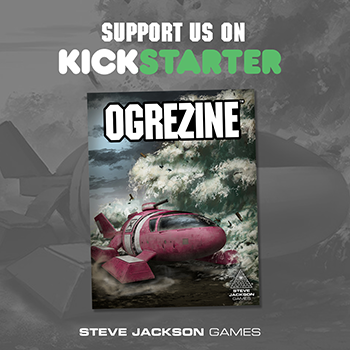 Daily Illuminator: Ogrezine Is Live On Kickstarter! August 10, 2017: Ogrezine Is Live On Kickstarter! As excited as I am to see the success of this project, that doesn't hold a candle to how I feel about what I know is to come. Curating and editing this upcoming magazine will be a blast and it is all thanks to you, our dedicated Ogre fans. I can't say I'm surprised, however. I've read so many amazing posts on the forums that I absolutely knew the talent was out there and our fans would be appreciative of a collection of this fine work. Through Ogrezine, we all can share the many stories and scenarios that slip past on the forums. So, more work to do. But that's a good thing!